IBM has launched an IT and business consulting service and five tools designed to improve social analytics and application delivery, among other things. The new service, IBM Global Business Services Online, combines digital tools and expert consultants to help new and existing IBM clients migrate mobile apps, analyze social media activity, and perform app testing. The consultancy features live, online support for each of the following new IBM solutions: IBM Social Media Analytics and Customer Insights, IBM Continuous Delivery Maturity Evaluation, IBM Mobile Applications Migration to Worklight, IBM Technical Healthcheck for SAP Applications and IBM Performance Roadmap for Oracle Applications. With IBM Social Media Analytics and Customer Insights, IBM's aim is to help clients analyze social media, and optimize marketing spending. Clients can use the tool's dashboard to track positive and negative sentiment across multiple touch points. The IBM Continuous Delivery Maturity Evaluation tool offers clients an analysis of development environments and recommendations for capability improvements. The IBM Mobile Applications Migration to Worklight tool gives clients the ability to migrate mobile applications from one platform to another, as well as the ability to respond to customer and market expectations. IBM Technical Healthcheck for SAP Applications and IBM Performance Roadmap for Oracle Applications provides assessments for existing SAP and Oracle applications to help clients determine whether upgrades or strategy changes are necessary. "These digital offerings manage a variety of business actions and meet the demands of our clients for short-term engagements with clear, actionable recommendations," said Joanne Collins-Smee, GM of Globally Integrated Capabilities at IBM Global Business Services. "These are proven IBM services that lend themselves well to this format." Earlier in the week, IBM launched three cloud-based solutions to add to its Kenexa Talent Suite and a consulting practice designed to enable businesses to identify and retain talented employees. 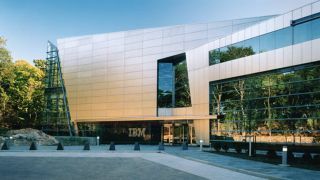 The consulting practice features the expertise of 1,600 management experts who will help IBM clients determine and develop the methods, tools and expertise to oversee four human resources areas: organizational change, talent analytics, employee experience and human resources cloud technology. Collins-Smee says the consultancies are not related and should not be construed as a connected strategic move. "We launched a Talent and Change Practice focused broadly on helping clients prepare for the transformational change required to build a smarter, more connected workforce," said Collins-Smee. "These type of transformational projects are not likely to be part of Global Business Services Online, which is aimed at delivering focused, fast digital solutions as part of short-term engagements."